"Heaven is the place where all the animals you have ever loved are waiting to greet you." That's what we are believing in our home today. Katie was with us 7 years. We think she was about 15 years old. She passed away this morning. It's a very sad day for us. I'm so sorry you lost Katie today. I know the sorrow that comes when a pet dies. Oh Stacey, what a beautiful dog. I know some of what you are feeling, as I lost my little pup Jack a while back. It just leaves a hole in your heart that only time will help to heal. I still have some pics of Jack on my computer and when I see them I want to cry again. I believe that! And that means Andrew has his first puppy ~ a beagle named Scout. I am so sorry to hear about the loss of your sweet Katie. Oh, I am so sorry. Losing a pet is a very hard thing. Oh, Stacey! I'm so sorry to hear about your dear Katie! Our hearts are ever so tender at the passing of our beloved pets! I'll keep you and your family in my prayers! I choose to believe the wording on the sign too! Oh Honey, I can feel your hurt...I truly believe God has a place in heaven for our pets that have been a part of our lives. Oh, Stacey. I'm so, so sorry. It is such a sad time when our beloved pets die. Katie died happy because she had 7 wonderful years with you. So sorry. I am so sorry for your loss. I know what it is like to lose a beloved pet family member. We've had our Miss Mollie for 7 years...pushing eight. I always wonder what I will do when it is her time to pass on to Doggie Heaven. I will honor the memory of my little beloved by giving another lonely, abused, un-claimed, un-loved poochie a home... When our sweet little Haleigh passed we celebrated her life by giving Mollie a home. I'm so sorry Stacey. I know what a sweetheart Katie was. I thinks labs are the most tender creatures on earth. My heart goes out to you. Stacey, I'm so sorry.. It is so hard when our beloved pets pass.. Our minature schnazer passed this past Dec. Our pets are so very special to us and they always give us their unconditional love. Nothing quite like them, that's for sure. Thank God for our precious memories that we have of our fur babies! It is easy to see that sweet Katie was a delightful and loving family member. She is who I would want to meet in Heaven instead of a lot of people I know. Bless your heart as you cope with this loss. That was a long time to have a pet with you and of course its very sad when they die.Fourteen years my late Mothers yorkie was when he died and she missed him so much as she lived on her own at the time with him. I am so sorry - losing a beloved pet is so hard. I still miss my Winston. I am sorry for your loss. She will be missed. I sat in my garden today, and I too remembered our beloved "Dodger". We miss him still. I am glad he came into our lives to love us and I thank God for it. So sorry...I believe she was truly loved by you and yours!!! What better life could a dog ask for!!! I am so very sorry. It is so hard to lose our special members of our family~our beloved pets. I'm so sorry about your loss of Katie..we miss our doggies from over the years and I have to believe they go to heaven! I don't look forward to the days without our precious dogs...thinking of you and your family today. I'm so very sorry to hear about your special Katie. It's never easy to lose someone we love. I'm sure that sign is correct and she will be waiting for you. HUGS to you and your family. I'm so very sorry. I had my Pepper for six years. He was an older pup too. But had so much love! My thoughts are with you. Sending you Texas-sized hugs! Create a little garden in memory someday. Plant rosemary for remembrance. Every time you pass by it, the scent will be so pleasant, year round. So sorry to hear about your Katie. It is hard to lose a family pet. She looks so sweet. A big hug to you and your family, Stacy. So sorry about your dog. I have been so not good about visiting..trying to play catch up today. Oh Stacey, I'm so sorry about your Katie. Those pets become so much a part of our lives that it's hard to be without them. After 14 years with our Siamese kitty, I developed an allergy to her and the doctor recommended we give her away. I hated to, but it was necessary. For months afterwards, I would come home and expect her to meet me at the door, or I'd think I'd hear her in the house and I'd call for her, and then remember she wasn't there. It's a tough thing to deal with. I hope you can remember all the good she brought into your life while she was with you, and let that carry you through the sad times. I'm really so sorry. My heart breaks for yoU! I am so sorry to hear about Katie....I know you have wonderful memories of her time with you. I am so sorry my friend. I am sure Katie will be so missed. Times like this are so painful when they are so much a part of your daily life. Only opet lovers who have lost a pet understand how difficult this is. I am and I do. Praying for your family today! I'm so sorry about your pet and friend. We have lost several dogs through the years. It is heartbreaking. After all, they are part of the family. I pray God will comfort you and that your memories will be sweet. We lost our Old English Sheepdog... the old guy two weeks ago. It is heartbreaking and I know you gave her such a happy home... Your family is in my thoughts and prayers. I'm so sorry Stacey. She was a beautiful girl. Hi Stacey! Thanks for popping in to see me and I hope your heart is on the mend. So sorry to hear about Katie! We have a little female that is 17 years old and has been a part of our family for the last 15. I could wake to the same thing any day. Thanks for stopping by and your kind comments. So sorry to hear about your family loosing Katie, we had a lab mix for 10 years before she passed away. That was 7 years ago and we still miss our Maggie girl. 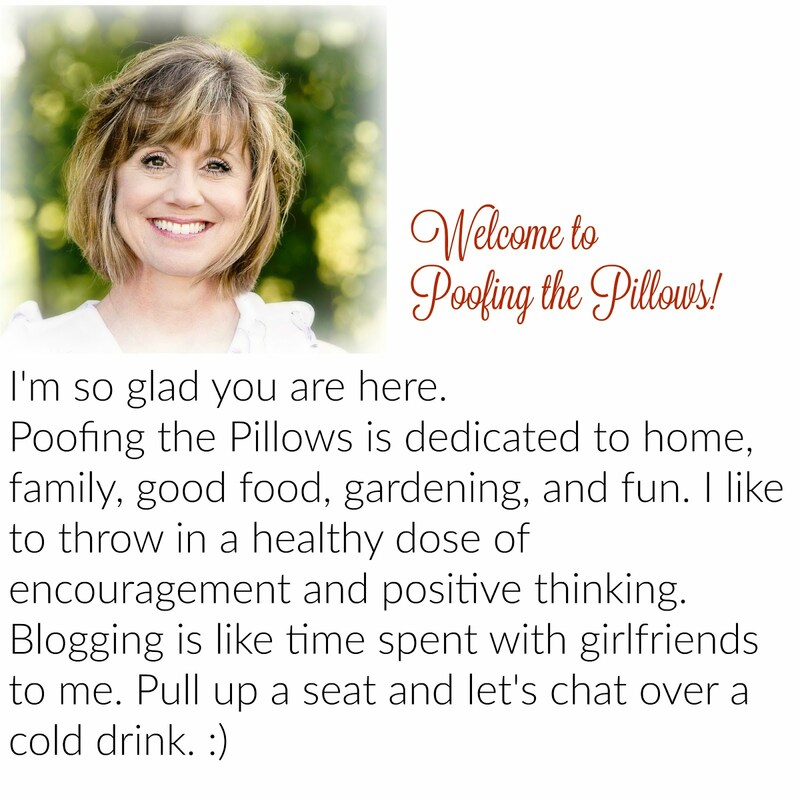 Also, wanted to thank you for visiting my blog and becoming a follower. Just been looking around your place and I'm loving what I see. We seem to have a lot of the same taste. By the way, I LOVE Oklahoma! My mom is from OK and is one of nine (9)!! children. All her family but her lives there. We visit as often as we can and I would love to live there. If you ever find yourself in Pelham, AL please let me know so we can meet. Now off to do some more snoopy, I mean visiting, on your site. Stacey, I am late catching up on my blog roll. I am so sorry for your loss. It is always hard to lose a beloved pet. So sorry to hear this, Stacey. Katie was beautiful and she enriched your life beyond measure. So sorry for your loss. Stacey, I am so sorry for you and your family to lose your Katie. Sending you a hug. Oh Stacey...I am so sorry! I will say a little prayer for you all! She was a beautiful doggy...such a sweet face! Oh, Stacey, I am so very sorry to hear about Katie. She was truly beautiful, and I know how much it hurts to lose her. My heart goes out to you and your family. Hi Sister, I don't make it to your Blog very often. I really sorry to hear about Katie. I know she was family and you will miss her! Now that your getting on Facebook some you need to link to this Blog from Facebook. I like the nice summer music. So sorry to hear! I don't know what I'd do without my black lab Duke. He brings so much joy to our lives and is like family. Love the quote at the office too :-). I always say dogs are angels from heaven we get to enjoy for only a little bit. okay...I'm sad now!